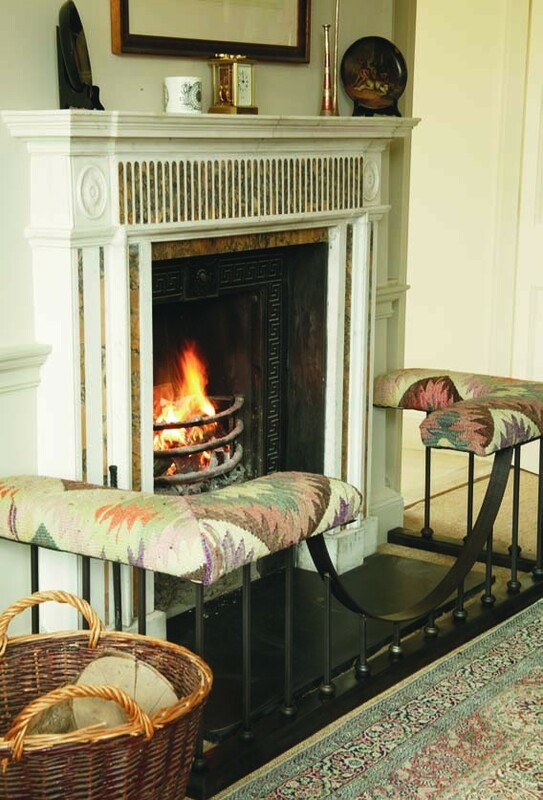 Constantly in demand, our kilim Fender Seats are the ultimate finishing touch to your fireplace. We can offer the design shown, or variations to suit, in this burnished steel finish. 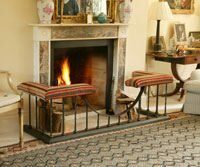 The uprights can be plain or twisted, and the opening curved or square. They can be covered in any of our kilim range, or indeed any upholstery material supplied by you. We can make a Fender Seat to any size you choose, priced according to size– please contact us for more information.